Let’s admit it, automating any process does dig deep into your pocket. There is also considerable time and effort involved in getting your programs, systems, and workforce to amalgamate with any platform to deliver quantifiable benefits that make the entire rigmarole worth your time. Having said that, once the foundations are laid is when the paybacks of your efforts begin to take shape. The event management ecosystem is no different. There are tremendous benefits in terms of time management, manpower investment, reduction of the probability of error and overall output that your event can benefit from if you were to consider engaging an event management platform. In this article, we will touch upon various nuances and features of event management platforms that can help you break the profit ceiling. The academic world isn’t short of events. From presentation of research, forums, seminars, conferences, there are so many things that need thorough planning and impeccable organization in order to ensure that everything runs like clockwork. However, organizing an event using the traditional methods can prove to be tedious, time-consuming and to some extent, inefficient. It’s a good thing that technology has been able to lend a hand to all event organizers in the form of academic event management software. 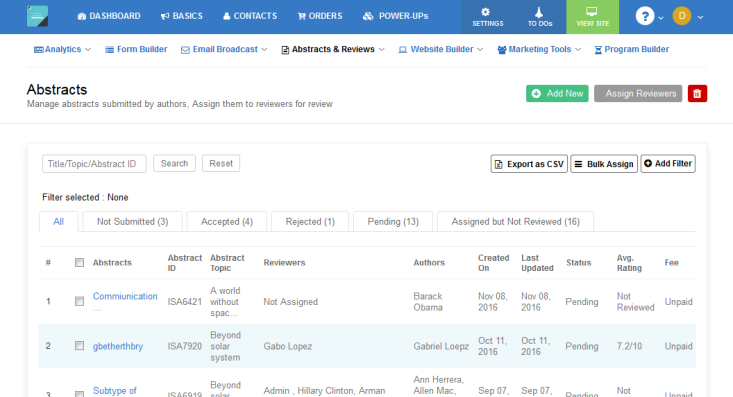 So, what exactly are these academic event management platforms? Such cloud-based, web applications assist event planners in structuring their academic functions and help them to execute their agendas systematically. They help to keep track of the guest list, collect registration fees through credit card payments online, initiate abstract submissions and assign these submissions to reviewers, build interactive program schedule available on website and mobile apps, reach out to all your possible guests and attendees and many other useful features. With so many choices out there, it could be quite a task to pick out the best one for your event organization needs. With these 10 tips on how and what to look for, you wouldn’t need to spend precious time cracking your head to find the most suitable software for the event that you have in mind. Dryfta earned recognitions lately after having gone through a review of trusted B2B directory FinancesOnline.com. The results were very positive – our event management software emerged with a score of 8.0 out of 10 and a perfect user satisfaction rating of 100%. 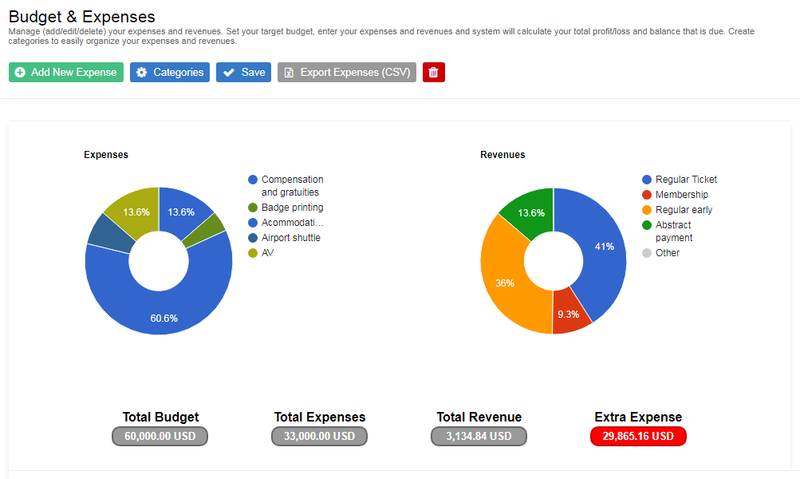 We were also mentioned as one of the top SaaS software solutions on their platfrom. Reviewers observed how our platform specially designed for universities and non-profits is able to help users conceptualize, plan and manage events within a cloud based environment. The software experts further noted the comprehensive features and event management capabilities of Dryfta to facilitate planning events and turning them into successful events. Event registration with Dryfta is easier than before. Organizers can now use the Sign In with LinkedIn feature to let delegates register using their LinkedIn accounts. The user registering would simply click on the Sign in with LinkedIn button and this would open a popup asking the user to authorize this request. Once authorized, the Dryfta website would fetch user’s details from LinkedIn including user’s photo, first name, last name, email address, company name and designation/role and save these data into the user’s newly created account on the Dryfta-powered event website. 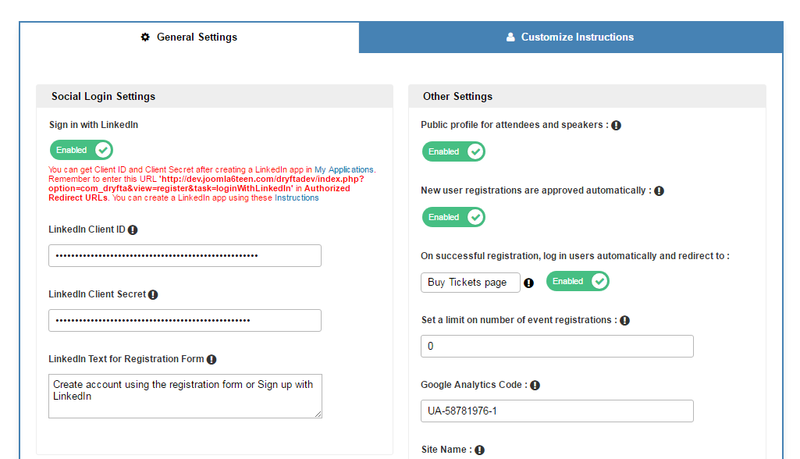 While registering using the event registration form takes around 1-2 minutes, registering using LinkedIn takes only a few seconds and also saves user from the need to enter their details as everything is automatically fetched from the user’s LinkedIn profile. Import your program sessions or add them manually using Quick add button to prepare your program schedule. 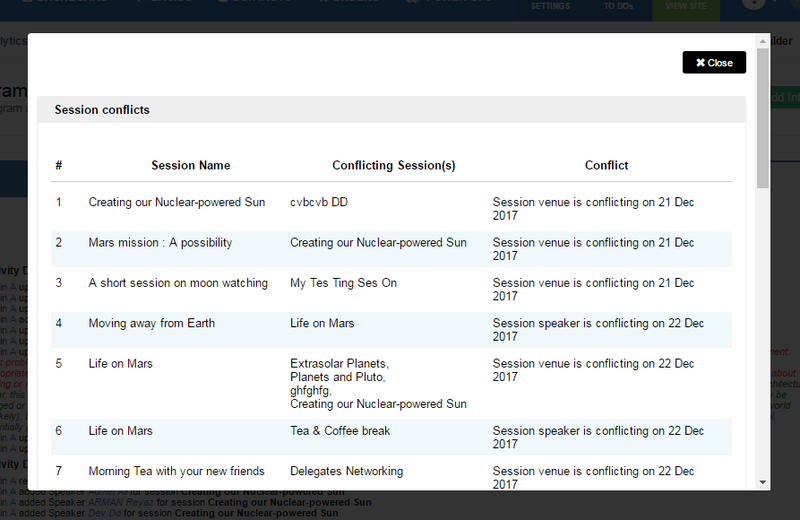 Once your program schedule is ready, click on Conflicts button to view conflicts between sessions. Each session which is conflict with another session is listed there along with the reason for the conflict. Conflict management system checks for conflict between venue and time and corresponding speakers. An admin has the option to resolve the conflict by changing the venue, or adjusting the time slot of the session in conflict. Admin has the option to override conflicts and schedule the sessions as is. This would, however, displays different sessions in program schedule with same venues at the same time slot or same time slot at the same venue.